Sydney-based artist Arthur Murch was invited to accompany a research party from Sydney University to central Australia in 1933. It became the first of two trips Murch made in the 1930s where he travelled to areas around Hermannsburg, including a two week camel expedition to Mount Liebig, around 190 kilometres west. Murch decided to join the expedition through his desire encounter and paint subjects of what he considered to be the 'real desert'. His output from these trips was considerable, resulting in numerous landscapes of Gosse's Bluff (Tnorala) and Mount Liebig (Watiyawanu) and surrounds, as well as portraits from people of the Hermannsburg Mission. 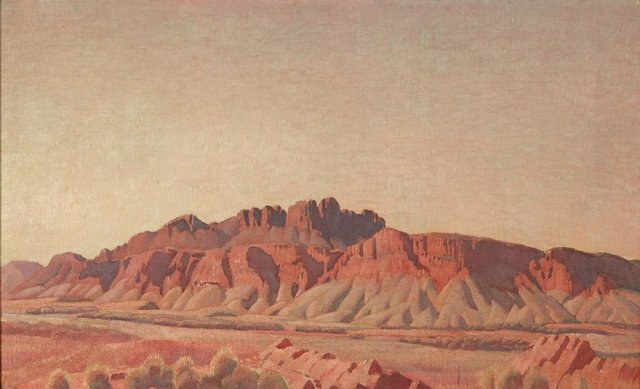 Mount Liebig was painted during Murch's second trip to the area in the summer of 1933-34. It is significant as part of one of the first bodies of works produced by a non-Indigenous Australian artist of the central desert, and created at a time when artists had not yet turned to the interior for their subjects. (The work of Hans Heysen in the Flinders Ranges in the late 1920s is a notable exception). 'Mount Liebig' is indicative of Murch's artistic response to the distinct landscape of the region. 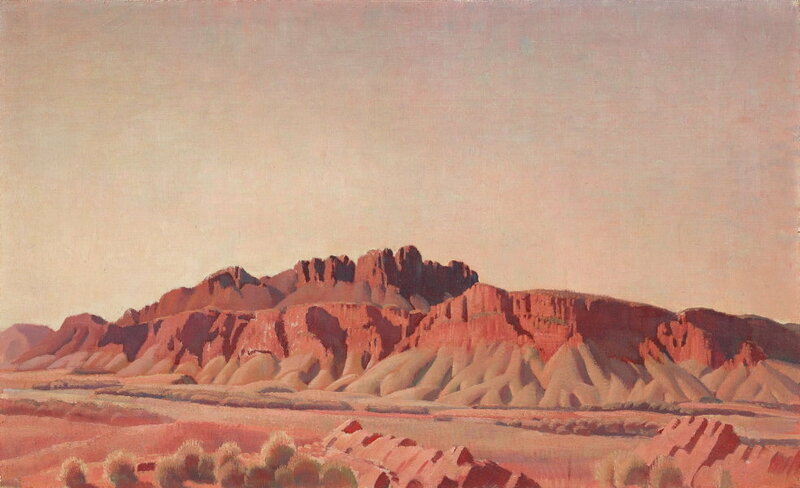 Despite the harshness of the high summer desert conditions that he encountered, Murch painted the landscape with a sense of great lyricism, focusing on compositional rhythms drawn from the formations of the ranges, and paying particular attention to the spectacular qualities of colour and light of the area. Mount Liebig reveals the artist's superbly handled palette, adapted to reflect the ochre pigments of the central desert but combined with creamy hues and the painterly effect of matt, 'chalky' surface textures to invoke a distinct impression of place.